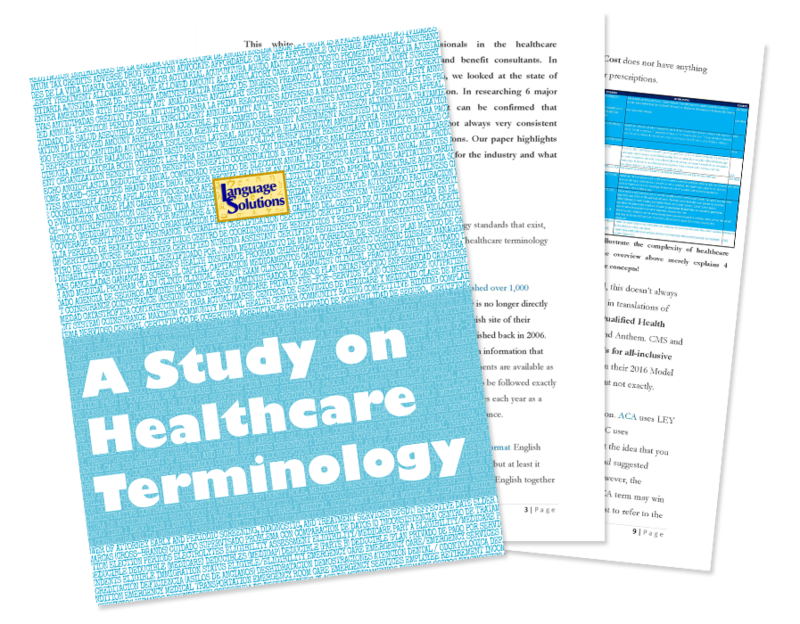 This white paper on healthcare terminology used by health plans is prepared for professionals in the healthcare communication industry, translation industry and benefit consultants. In preparation of the new Open Enrollment season, we looked at the state of healthcare terminology for the Hispanic population. In researching 6 major organizations, both government and private, it can be confirmed that Healthcare Terminology is vastly complex and not always very consistent among different government and private organizations. Our paper highlights the issues in healthcare terminology, what it means for the industry and what could be done to improve it. Our hope is that there can be standard terminology developed and organizations that will desire to create consistent communications. For any organization that publishes a glossary, we also recommend that you put it online in a downloadable format in which it can be accessed and used. A PDF is not a usable format to be able to use in technology (Translation service providers and translators can then convert this to a glossary to be used in Translation Memory). Consider Excel, a Word table, etc. Encourage health plans and others to use Language Service Providers or professional translators that are proficient in Translation Memory and have access to these glossaries and published translations that can be utilized. See the CMS Toolkit for using culturally and appropriate translation. There needs to be an organization that will reach out and collaborate with others to help standardize the terminology. We volunteer to be part of that organization. 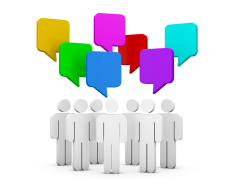 Communicate, communicate, communicate – create the awareness of the importance of standardized translations and terminology once established. For more about our services and specialization in healthcare translation, you can find out more here.